Ygrene is a Finance Company that delivers, turnkey programs on behalf of municipal governments to their citizens. 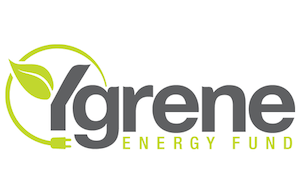 The finance products Ygrene offers are referred to as PACE, or "Property Assessed Clean Energy". The company is headquartered in Santa Rosa, CA, and currently operates in California and Florida, with Arizona and Georgia in advanced stages for future operation. Over the next 5 years, Ygrene is projected to put nearly $3 billion of green finance into the marketplace, creating 45,000 local jobs, 7.5B in local economic stimulus and saving 360,000 metric tons of CO2 emissions from the atmosphere. Ygrene was started by Alan Strachan and Dennis Hunter to assist municipalities in setting up project financing programs for property owners that are paid back via voluntary property tax assessments. It leads a consortium called the PACE Commercial Consortium made up by The Carbon War Room, a San Francisco-based nonprofit started by Virgin Airways founder, Sir Richard Branson; Barclays Capital; Lockheed Martin; energy industry re-insurer Energi Insurance Services; and Energi’s Germany-based parent, Hannover RE, the world’s third-largest re-insurer. Ygrene handles all the program costs from setting up the assessment districts within a state, to marketing, before-and-after energy audits, and pays contractors directly to do the work on behalf of the property owners. This is done with funds from a variety of private sources, including a $100 million warehouse line from Barclays Capital. Barclays’ role is to package a number of PACE assessments into securities that are then marketed on the bond market. Ekoroof fits in with Ygrene as a product that matches the criteria of being; not only an impact, water, hurricane wind and storm-resistant product; but also a product that helps to save energy, as it is a thermal insulator. Please note that you are not required to work with Ygrene to purchase your Ekoroof. Also note that Ygrene is not an equity line on your property, nor does it affect the equity you have in it. Contact us to begin your application process with Ygrene.